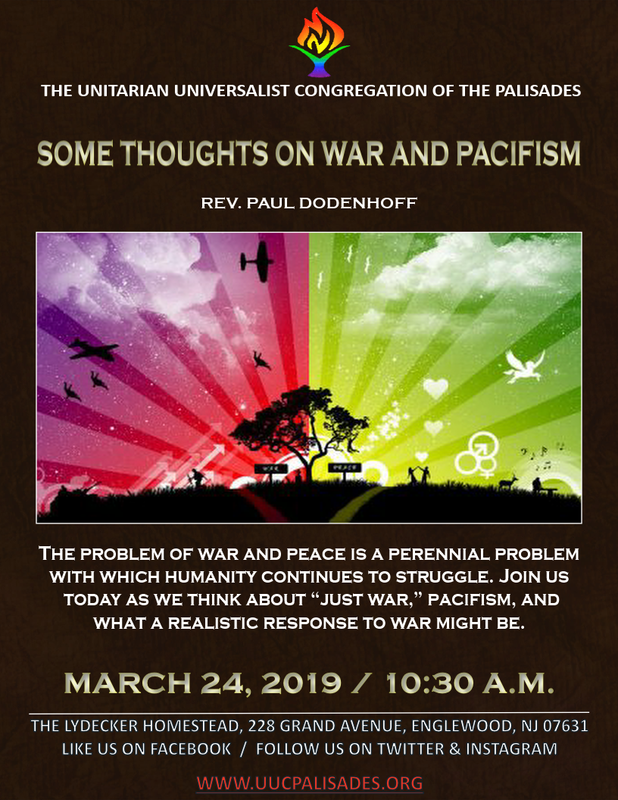 Please join UUCP for today’s service at 10:30 a.m. led by Rev. Paul Dodenhoff. The problem of war and peace is a perennial problem with which humanity continues to struggle. 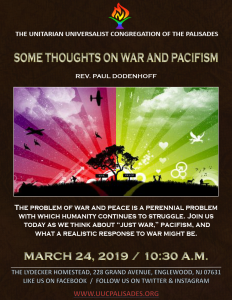 Join us today as we think about “just war,” pacifism, and what a realistic response to war might be.